Technology trends are moving towards a world of connected devices. Computing will become more pervasive, and soon it won't be limited to PCs and mobile phones. Innovation in connected devices will be driven not by big companies, but by entrepreneurs that are able to cost-effectively experiment using platforms like Arduino. 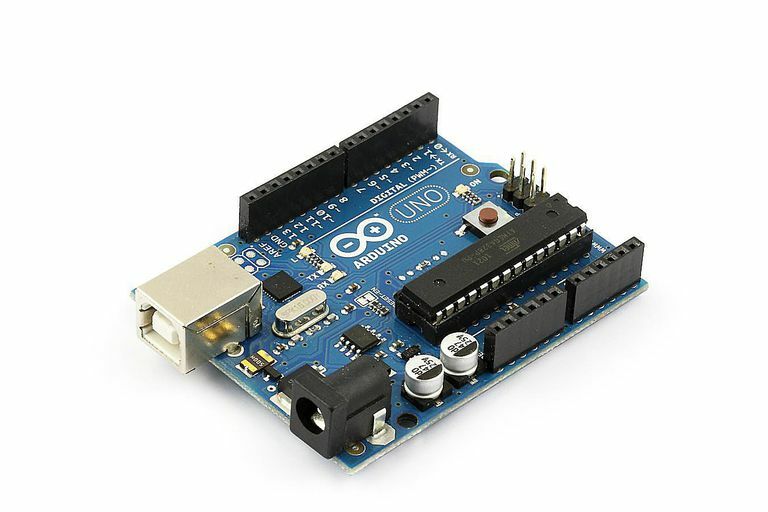 If you aren't familiar with Arduino, check out this overview - What is Arduino? If you're looking to get into this world of microcontroller development and see what is possible with this technology, I've listed a number of projects here that are suitable for an early to intermediate level of programming and technical know-how. These project ideas should give you an understanding of the potential of this versatile platform, and perhaps give you some inspiration to dive into the world of device technology. One attractive feature of Arduino is the energetic community of designers and enthusiasts that create parts that can be mixed and matched upon the Arduino platform. Adafruit is one such organization. Using an Adafruit temperature sensor, coupled with an LCD display, one can create a simple thermostat module, that can control your home while being connected to your computer, which unlocks lots of interesting potential. A connected thermostat can pull information from a calendar utility like Google Calendar to schedule the temperature settings of the house, ensuring energy is being saved when the house is unoccupied. It can also poll weather services to match the heating or cooling to the ambient temperature. Over time you can refine these features into a more ergonomic interface, and you've effectively built the fundamentals of the new Nest Thermostat, a device that's currently receiving huge attention in the tech world. Home automation systems can be a pricey addition to any house, but Arduino allows enterprising individuals to build one for a fraction of the cost. With an IR sensor, the Arduino can be programmed to pick up signals from a seldom-used remote control you may have lying around (an old VCR remote perhaps?). Using a low-cost X10 module, signals can be safely sent over AC power lines to control a wide range of appliances and lighting at the touch of a button. Arduino allows you to very easily replicate the functionality of the digital combination lock safes that you find in many hotel rooms. With a keypad to accept input and an actuator to control the locking mechanism, you can put a digital lock on any part of your house. But this need not be limited to doors, it could potentially be added as a security measure to computers, devices, appliances, all manner of objects. Coupled with a Wi-Fi shield, a mobile phone can be used as the keypad, allowing you to lock and unlock doors securely from your phone. In addition to using your phone to unlock things, Arduino can allow you to exercise finer control over the physical world from your mobile phone. Both iOS and Android have a number of interfaces that allow fine-grain control of Arduino from a mobile device, but an interesting recent evolution is the interface that's developed between telecom startup service Twilio and Arduino. Using Twilio, users can now utilize two way SMS messages to both issue commands and receive status updates from your connected devices, and even landline phones can be used as an interface using the touch-tone system. Imagine sending a text message to your house to turn the air conditioner off if you forget to shut it down before you leave. This is not only possible but easily facilitated using these interfaces. Finally, it's worth mentioning that Arduino allows for easy interface to Internet services. Using a passive infra-red (PIR) sensor, one can create a motion sensor using Arduino that will interface with the Internet. Using the open source Twitter API for example, the unit could send a tweet out alerting a user to a visitor at the front door. As with the previous example, phone interfaces can also be used to send SMS alerts when motion is detected. The ideas here only scratch the surface of the capabilities of this flexible open source platform, providing a brief overview of some of the things that can be done. There is a strong possibility that some of the next great tech innovations will emerge from the connected devices space, and hopefully, some of the ideas here will encourage more people to join the energetic open source community and begin experimenting with Arduino. Even more project ideas can be found on the Arduino Homepage.